"Please take note that this is a ‘DRESS UP & LOOK FABULOUS’ affair. If your idea of dressing up is wearing a t-shirt and trainers there are many festivals that will cater to you but NOT THIS ONE!" n'importe quelle personne ayant déjà été à un festival organisé par Josh Collins sait qu'on ne fait pas mieux. uniquement des vrais fans de rock'n'roll (un public plus proche du Cosmic que de Rock en Seine, mais c'est fait avec plus de moyens que le Cosmic et autant de bonne volonté), faut dire que c'est un investissement certain à chaque fois, mais je ne connais personne qui ait regretté un centime de son voyage. Stay in the awesome Mid-Century 'Brutalist Aztec' Hotel Rosa Del Mar with swimming pools, palm trees, sun loungers, tasty buffets and 4-star Mod-style ensuite rooms. Treat yourself to the in-house spa, sauna & health retreat. In-room Psychotronic 24 hour lost tv gems and cult movies. Walk to the beach, the theme park, the crazy golf….see incredible Gaudi architecture and art in Palma. All day & all night entertainment & dancing with the best Lounge/Instro/Latin/60s Garage/Beat/Mod sounds from live bands, disc jocks and performers from all over the globe. Trash Talks from Low-brow artists, Underground Celebrities, Movers & Shakers on the Mid-century scene covering art, music, movies, pop culture and mysticism. Kitsch Treats galore with the Sing-a-long-a-Cinema and the Suitcase Swapmeet. Suave Comperes cruise you through the endless Happenings. Technicolor Tiki kitsch, floor to ceiling glitter decor & Mind-boggling Mondo visuals. 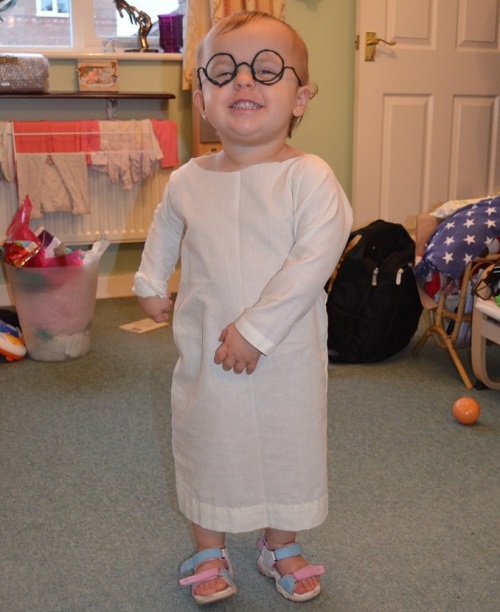 Stylish dress-up themes, Arty fashion and costume shows, vintage and Jetset Loungewear all weekend long. Three incredibly over-the-top discotheque venues exclusively for you, The Wild Weekend Jetsetters. 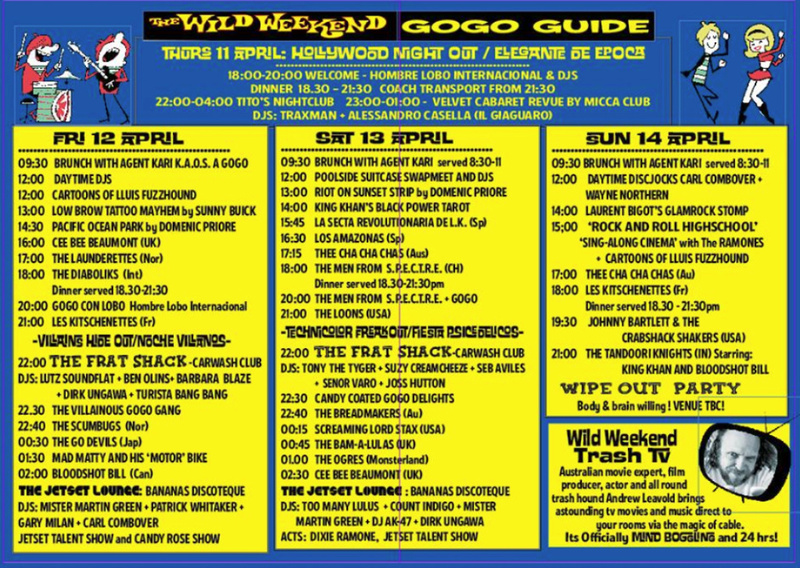 This is a unique one-off festival so let’s Go-Go-Go the The Wild Weekend! Josh Sinbad & Barbara Blaze: Zombie Zoo Productions. 2 day, 3 day & 4 day tickets now available. parfait pour la soirée "villains hide out"